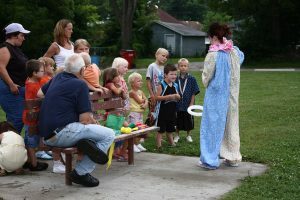 Parkfest is held every Saturday each spring and summer at a designated local park in Springfield Missouri. Starting at 12 noon a summer meal of sandwiches & chips or BBQ burgers & chips are provided along with some short testimonies from individuals who have been affected by a genuine encounter with Jesus Christ. We also will provide some free items to bless those that come out. 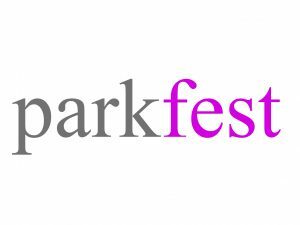 Stay tuned in June of 2017 for the announcement of when and where Parkfest will take place! Dr. Brian Kelly leads our Real Time Witnessing Program where teams of students and local church folk regularly canvas neighborhoods, the streets and malls of the city to share the good news through the use of a Religious Attitude Questionnaire and Our Spiritual Journey Together pamphlets to share the good news with those who are interested. To learn more about this please go this web page. 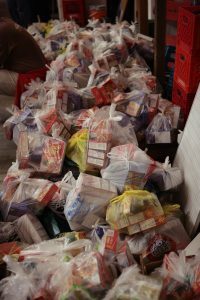 Embassy of Hope offers supplemental help with a small food pantry and free diapers every Sunday morning. At various times throughout the year we also offer clothing and winter apparel such as coats, hats, gloves and scarves.